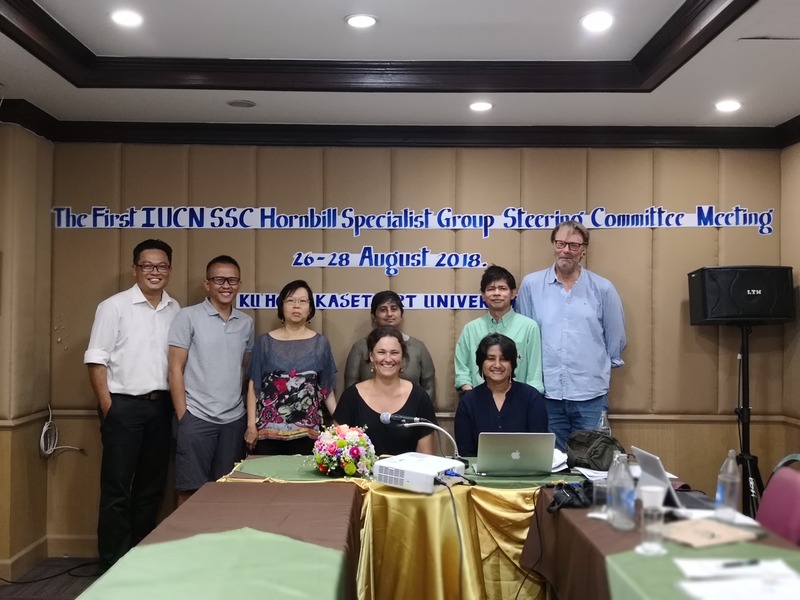 Between 26-28 August 2018, Assistant Professor Dr. Vijak Chimchome, Secretary of Hornbill Research Foundation and the Principal Investigator of Thailand Hornbill Project had participated in the First IUCN Species Survival Commission (SSC) Hornbill Specialist Group Steering Committee Meeting at KU Home, Kasetsart University in Bangkok. The purpose of this meeting is to put together 2018-2020 workplan to protect hornbills and their habitats through combined knowledge and skills for evidence-based conservation action. The IUCN SSC Hornbill Specialist Group Steering Committee is working under the strong advisors by Emeritus Professor Dr. Pilai Poonswad (a committee of Hornbill Research Foundation of Thailand), Dr. Alan Kemp, and Mr. Timothy O’Brien and Ms. Margaret Kinnaird.